... season of UPSET! At least that's what some TV shows are calling it. In the Tuesday night Finale of Dancing with Stars, many thought that front runner pair Gilles Marini & Cheryl Burke will take home the Mirror Ball Trophy. Not quite because Shawn Johnson & Mark Ballas snagged it from them. I guess Gilles' fans didn't all rally enough behind him & his partner. Mark & Shawn themselves were caught by surprise but that's what the fans wanted...and so this pair won! This is a bigger upset I think. The judges, especially the mighty Simon, openly predicted that Adam Lambert will take home the title but boy was he ever wrong. I guess the Kiss of Curse that David Cook was afraid of getting actually landed on Adam. He was the crowd's favorite for most of the season. But I guess the clean cut, boy next door contestant pulled the biggest surprise of them all...taking the AI title under Adam Lambert's feet. 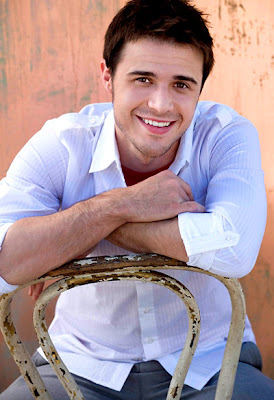 Anyway, congratulations to Kris Allen! He truly deserves it. By the way, one of my favorite number in the show was when he did a duet with Keith Urban. He truly held his own and I really think, he would go the route that another AI champion Carrie Underwood is taking. COUNTRY music! I loved their performance together and loved the song too!